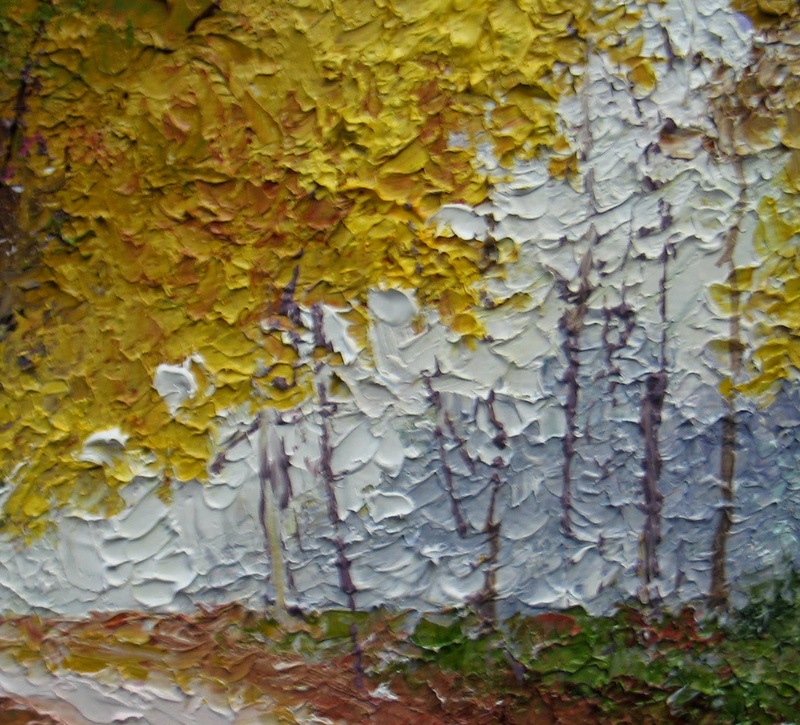 Oil on Canvas Panel, 12" x 16"
Below is a close up of a little part of the painting, so you can see the palette knife work. 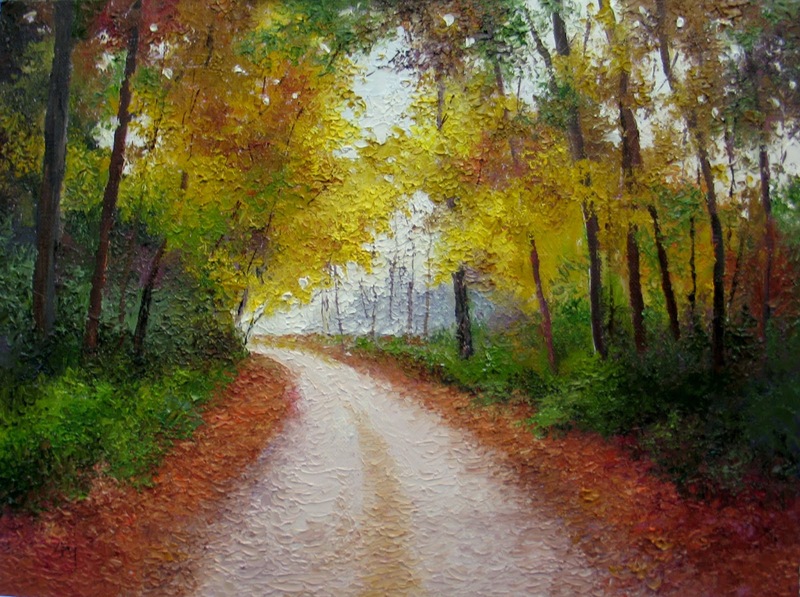 Every once in awhile, a palette knife painting is just the slow down I need. I paint these with just the tip of the pointed small knife, a little tap tap stroke. I'm always happy with how much careful blending you can do with such a tool. Of course, the pieces take forever, but it's also a fun way to paint.